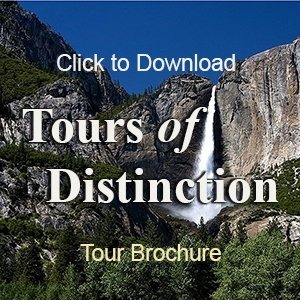 Booking a Tour with Tours of Distinction is easy! Click Here for a list of upcoming tours. Click the link on the tour you are interested in and it will open up to a detailed itinerary for that tour. Call our office Monday to Friday from 9:00 am to 5:00 pm at (702) 454-3838 to secure your spot on the tours you want. A 5% early bird discount is available on all our coach tours departing from Las Vegas if prepaid 60 days prior to departure. If you are interested in any of the air tours and cruises, remember a discount is available if your deposit is received six months before departure. For all air tours, the tour manager is from the contracted tour company and all departures are from McCarran International Airport.